Welcome to the second installment of my ongoing mini-series on old-time mandolin duets. I’m reviewing new releases that feature mandolin and guitar duos performing vintage pieces from the golden era of brother duets (ie. Monroe Brothers, the Louvin Brothers, Blue Sky Boys). 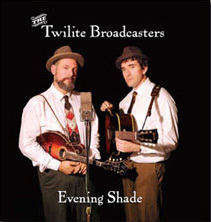 This week’s post references “Evening Shade,” the latest release from the Twilite Broadcasters (Adam Tanner on vocals, mandolin, and fiddle, and Mark Jackson on vocals and guitar). Evening Shade delivers just the right mix of old-time country, early bluegrass, and even a couple fiddle tunes. 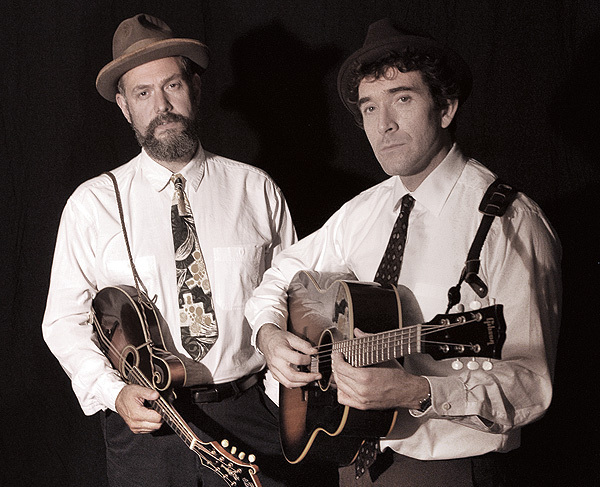 With a dash of reverb in the mix, the sound at times invokes the Everly Brothers and hints at the connections between bluegrass and early rockabilly, even though the songs remain ever faithful to the brother-duet formula: Gibson mandolin, small-body flattop box, and close harmony. Here are two cuts from “Evening Shade.” Enjoy! The Twilite Broadcasters from Adam Tanner on Vimeo.